The space-inspired arcade game Space Lift Danger Panic! from Springloaded will be releasing on Nintendo Switch on February 15th. The game uses touchscreen controls that allows the player to spawn safety nets under the falling astronauts to spare them from death. You can use up to four fingers simultaneously. 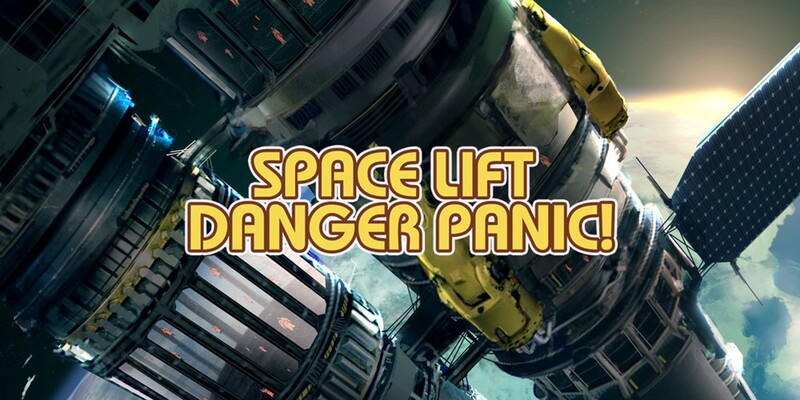 We have a content guide for Space Lift Danger Panic below on it’s two game modes courtesy of Springloaded. A new story, that puts a totally different spin on the game universe. 3 – Endless mode (a way to try and get a high score in the classic version of the game). ALL GAMEPLAY IS TOUCH SCREEN ONLY. Short sessions of intense action. This new Directors Cut version features 32Bit graphics, sound and a completely new game mode, more than doubling the content found in the original. Space Lift Danger Panic! is sure to surprise you! The Ceranthians have been using their space lift to travel between the surface of their home planet and low orbit, where they go about their daily work. A series of attacks on their planet have culminated with the unleashing of a space weapon inside the lift, putting all the travellers in deadly peril. Unique Gameplay that will have you managing multiple platforms and searching for exit doors while battling against the relentless gravity of the space lift! The Ceranthians have become sentient. Aware of their predicament as people trapped within a videogame, where will their disillusionment end?